St. Paddy’s Day is just around the corner and we have some recommendations for your Saturday March 17th pub stroll down Park City’s Historic Main Street. 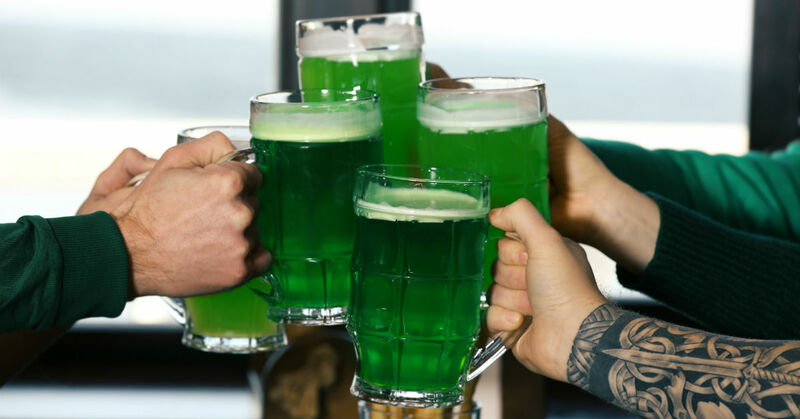 Whether local, vacationing or real estate shopping you and your friends will love what’s in store for St. Patrick’s Day at these local pubs. We’ve highlighted a few local favorites spanning less than a quarter mile distance on Historic Main Street. Start on the south end and make your way north. This cozy casual setting provides a great start to your night with some locally brewed unique craft beers. Try the Nitro Polygamy Porter, the Apricot Hefeweizen and Jalapeno Cream Ale. Pair these delicious beers with classic appetizers with a twist. We recommend Hefeweizen Flash Fried Calamari and the Wasatch Fish & Chips. Doors open early so you can start your pub crawl at lunch time! Stop in for a drink at this venue. O.P. Rockwell’s is known for its great live music and dancing. Nothing is on the schedule for March 17th yet but don’t let that keep you from stopping in and having an exceptional cocktail made by one of the many knowledgeable bartenders there. This Western style saloon features a warm atmosphere with a fireplace and a rooftop patio. Serving up classic American pub grub you’ll find an awesome saloon burgers (try the Spur Burger), wings and brick oven pizza served daily. All cocktails are made from local spirits along with a large selection of beer and wine on tap. Enjoy live music nightly from 10PM-Midnight. St. Patrick’s Day will feature Rage Against the Supremes. If you’re looking for local recommendation try any of the wings, the Buffalo Deviled Eggs appetizer, Jazz Hands chicken and waffle sandwich and a Bootlegging cocktail. Flanagan’s is a classic Irish tavern and a local hotspot for St. Patrick’s day especially. Voted best pub in Utah four years straight 2013-2016 and best late night menu in Park City 2017 by Mountain Express Magazine. Here you’ll find happy hour food and drinks, Irish specialties and VIP booths. Enjoy live music nightly. Recommended menu items include the Potato Leek soup in a bread bowl, Whiskey Chicken Boxty, Corned Beef Boxty, Bangers and Mash, Bourbon Banana Bread Pudding. This Irish rock pub is a hit but reservations are usually encouraged. Rock & Reilly’s is a high-energy watering hole featuring delicious bar bites, games, a photo booth and tasty beers and cocktails. Recommended bites include the Irish Nachos, Mac & Cheese, Short Rib Grilled Cheese and the famous Drunken Brownie. Bring your friends and enjoy a night of dancing and shots of premium tequila together. Make this historic landmark your last visit for the night. Open until 2AM the No Name Saloon and Grill will pack a punch for your pub crawl. This lively venue is one of the most iconic buildings on Park City’s Main Street and is consistently voted the “Best Bar in Park City” by loca Park Record Newspaper. Enjoy the heated rooftop patio and fun music all night long. Try the Onion Rings with any of the famous Buffalo Burgers. Sip on one of the many local brews while playing a game of shuffleboard.